Chicago, IL, April 12, 2019 --(PR.com)-- CMMS Data Group successfully renewed its Women's Business Enterprise (WBE) Certification. As a woman-owned, operated, controlled, and managed business, the maintenance and reliability software company is one of over 14,000 WBEs certified by the Women's Business Enterprise National Council (WBENC), according to the council’s 2017 annual report. The WBE certification is one of many initiatives and resources the council offers. By supporting female entrepreneurs and business owners, WBENC hopes to promote equality in the workplace while also stimulating economic growth. Ruth Hughes worked for years as an MP2 CMMS software training consultant before founding CMMS Data Group in 2000. As the software company’s CEO, she says she is proud WBENC has recognized CMMS Data Group for the diversity of its leadership. “The WBE certification is important to me because it shows everyone who is interested in doing business with us that a woman really does have the majority ownership and control of the company,” said Hughes. By implementing customer-requested features, Ruth helped make the company’s flagship CMMS software, MVP Plant, one of the best in the maintenance and reliability industry. Most recently, Plant Engineering named MVP Plant the GOLD winner for the 2018 Product of the Year Award in the Maintenance Software category. The council's WBE certification is one of four initiatives that support the company's mission. 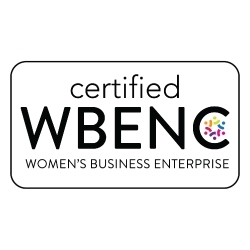 WBENC‘s most recent annual report details its “CORE Platform,” which provides female-owned businesses with networking opportunities to connect, educational resources to learn, and motivational programs to succeed.